Solving the equation, we get $h=0$. 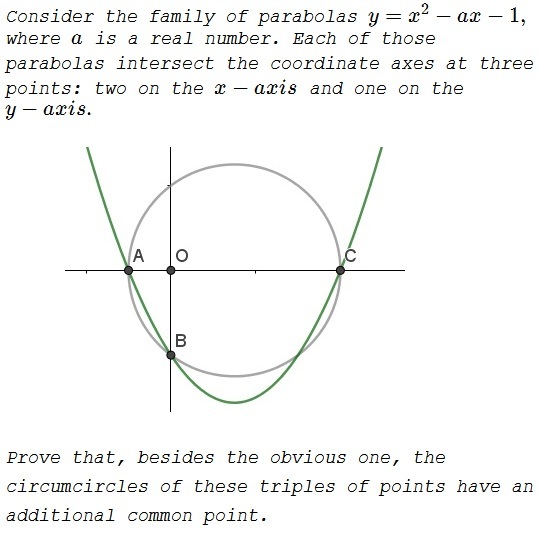 Thus, the center of the circle is $(a/2,0)$, $AB$ is a diameter, and by symmetry, the other common point of the family of circles is the reflection of $(0,-1)$ about the $X$ axis - the point $(0,1)$. This is problem 2 (pp 77-79) from Mathematical Miniatures by S. Savchev and T. Andreescu (MAA, 2003). 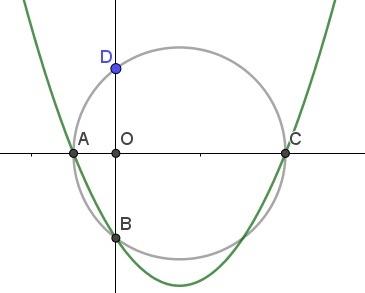 Solution 2 is by Amit Itagi.